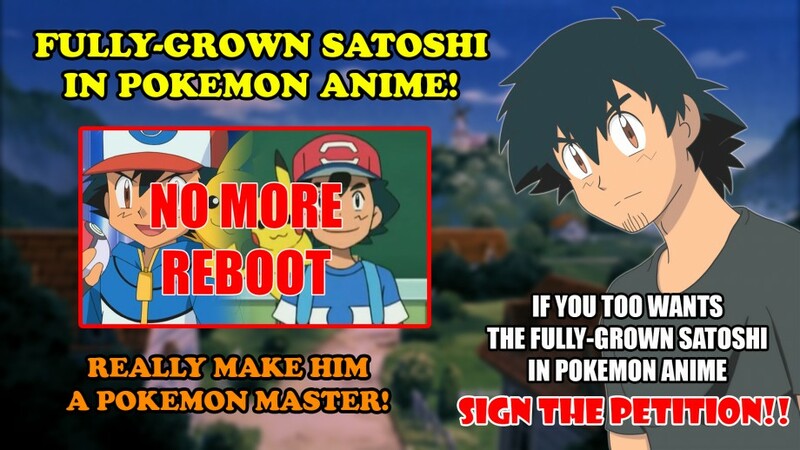 We Ask gently the staff of the pokemon anime to develop Ash's(Satoshi) in a worthy way: no more reboots, we would like to see Satoshi as an adult (it is preferable to avoid to specify the years of the timeskip, in order to not generate more mistakes with the series in which there was shown an effective temporal ongoing) and that he could reach his goal to be a Pokemon Master. Giving the Pokemon Master title doesn't necessarly mean to take it away from the anime and to conclude it. For us the story could be more passionate and catchy if a fully grown up Satoshi still gets a part on it, as something like a mentor. By signing, I authorize Satoshipedia to hand over my signature to those who have power on this issue.